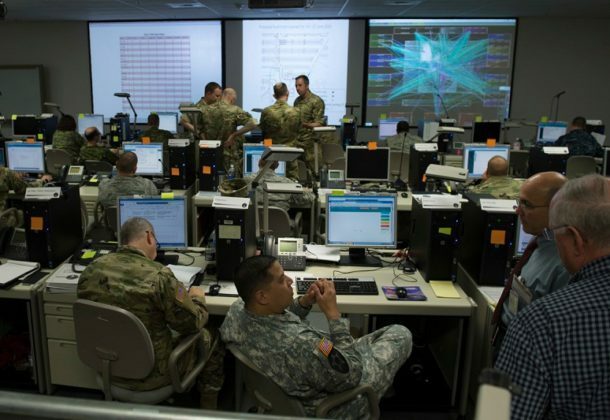 Fifty cybersecurity assessments of combatant commands and the military services by the Department of Defense reveal its missions and systems continue to be at risk of cyber intrusions, reports Defense Systems, despite improvements in network defenses. The US should go on the offensive against Russia and China, says Chief of Naval Operations ADM John Richardson, as the great rivals use their navies in increasingly aggressive land, sea, and power grabs, reports Business Insider. He says it is time to take over key waterways and increase training with partner forces. US Cyber Command has launched operations to deter and disrupt Russians who have been interfering with America’s political system, reports The Washington Post. Like other cyberwar activities, the disruption effort against Russia is cloaked in secrecy. An aircraft mishap marked the first simulated drill to take place during Citadel Shield-Solid Curtain, the Navy’s annual anti-terrorism/force protection exercise designed to test the training and readiness of NAS Patuxent River security services and first responders, reports DCMilitary.com. The exercise runs until Feb. 15. A littoral combat ship is slated to deploy to the waters of US Southern Command this year to battle drug smugglers, reports Navy Times. SOUTHCOM commander Adm. Craig Faller declared America’s opioid epidemic “a national security crisis” and said an LCS will patrol South American and Caribbean waters to interdict illicit narcotics. The top Democrat on the Senate Armed Services Committee, Sen. Jack Reed (RI) said Congress should be consulted before any military intervention in Venezuela, reports Roll Call. A new $35 million facility at Hill Air Force Base in Utah will serve the 309th Software Maintenance Group, reports the Standard-Examiner, and is necessary to accomplish sustainment workloads for the F-22 Raptor, the F-35 Joint Strike Fighter and other Department of Defense programs. A DoD report said the CH-53K King Stallion’s initial operational capability milestone, originally set for December 2019, would likely be pushed back, and that the heavy lift helicopter’s initial operational test and evaluation will not kickoff until 2021 to correct multiple “design deficiencies” found during testing, reports Marine Corps Times. The Pentagon’s fiscal 2020 budget request will feature a special section focused on investments that will drive reforms and save taxpayers money long-term, Lisa Hershman, DoD’s acting chief management officer, told Defense News. Two sailors were rescued by the Coast Guard off the mid-Atlantic coast last week after falling off a passing tanker about 70 miles east of Chincoteague, reports The Maryland Coast Dispatch. Lockheed Martin has pledged $1 million to the National Coast Guard Museum, reports Military.com. The company will have a wing of the museum named after it called the Lockheed Martin Saving Lives by Air Gallery. Sikorsky developed the HH-60 Jayhawk, which is used by the Coast Guard to carry out search and rescue missions. The Boeing 747, aka “Queen of the Skies,” is the world’s most easily recognized jetliner with its humped fuselage and four engines. The jumbo jet is now enjoying a second, perhaps less glamorous life, hauling cargo for companies like United Parcel Service, reports Reuters. A Montgomery County state senator widely considered to be a rising star in the Maryland legislature announced last week that he is being deployed to Afghanistan, reports Maryland Matters. Sen. William C. Smith Jr., an intelligence officer in the US Navy Reserve, will report for duty March 29. General Dynamics, Bath Iron Works, Bath, Maine, is awarded a $15,637,609 cost-plus-fixed-fee modification, against previously awarded contract N00024-14-C-4313 for LCS Planning Yard Services. This modification procures waterjet assembly battle spares for the LCS-6 and follow ships (Independence Class). Work will be performed in Chesapeake, Virginia (99 percent); and Bath, Maine (1 percent), and is expected to be complete by March 2021. Fiscal 2018 other procurement (Navy) funding in the amount of $15,637,609 will be obligated at award and will not expire at the end of the current fiscal year. The Supervisor of Shipbuilding, Conversion, and Repair, Bath, Maine, is the contracting activity. Clark Nexsen Inc., Virginia Beach, Virginia, was awarded a $12,250,000 firm-fixed-price contract for vertical architectural and engineering. Bids were solicited via the internet with 28 received. Work locations and funding will be determined with each order, with an estimated completion date of Feb. 6, 2024. US Army Corps of Engineers, Wilmington, North Carolina, is the contracting activity (W912PM-19-D-0002). Whitman, Requardt and Associates LLP, Baltimore, Maryland, was awarded a $12,250,000 firm-fixed-price contract for vertical architectural and engineering. Bids were solicited via the internet with 28 received. Work locations and funding will be determined with each order, with an estimated completion date of Feb. 6, 2024. US Army Corps of Engineers, Wilmington, North Carolina, is the contracting activity (W912PM-19-D-0004). AAI Corp. doing business as Textron Systems, Hunt Valley, Maryland, was awarded a $7,050,000 modification (0004 10) to Foreign Military Sales (Australia) contract W58RGZ-17-D-0006 for contractor logistics support of the One System Remote Video Terminal. Work will be performed in Hunt Valley, Maryland, with an estimated completion date of May 7, 2019. Fiscal 2019 operations and maintenance Army; and Foreign Military Sales funds in the amount of $7,050,000 were obligated at the time of the award. US Army Contracting Command, Redstone Arsenal, Alabama, is the contracting activity. Booz Allen Hamilton, McLean, Virginia, was awarded a $12,884,834 modification (P00006) to contract W91RUS-18-C-0024 for cybersecurity support services. Work will be performed in Fort Huachuca, Arizona, with an estimated completion date of Sept. 2, 2029. Fiscal 2019 operations and maintenance Army funds in the amount of $12,884,834 were obligated at the time of the award. US Army Contracting Command, Aberdeen Proving Ground, Maryland, is the contracting activity. 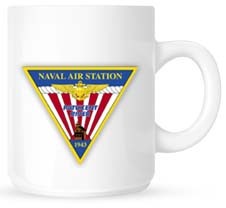 Huntington Ingalls Industries Fleet Support Group LLC (formerly AMSEC LLC), Virginia Beach, Virginia (N4523A-19-D-1301); Gryphon (formerly CDI Marine Co. LLC), Norfolk, Virginia (N4523A-19-D-1302); and Tridentis LLC, Alexandria, Virginia (N4523A-19-D-1303), are awarded a combined not-to-exceed $40,000,000 shared capacity, multiple-award indefinite-delivery/indefinite-quantity, firm-fixed-price contract for marine design and engineering services for all current and former US naval vessels, ships, craft and boats in the areas of naval architecture, civil, structural, mechanical, electrical, electronics, industrial and environmental engineering. The work will include planning and estimating, engineering designs and calculations, technical research, troubleshooting and failure mode analysis, assessments and inspections, oversight and technical support of industrial work, training, and detailed reports based on engineering studies and analysis relating to marine vessels and equipment (including, but not limited to cranes, caissons and similar equipment used to support ship repairs, overhaul and dismantling). This requirement also includes computer aided drafting and design drafting and modeling, and technical document preparation, publication and reproduction. Work will be performed in Bremerton, Washington (60 percent); and throughout the world depending on need (40 percent), and is expected to be complete by February 2024. Fiscal 2019 operations and maintenance (Navy) funding in the amount of $15,000 will be obligated at time of award through the issuance of three separate task orders ($5,000 for each company) and will expire at the end of the current fiscal year. This contract was competitively procured via the Federal Business Opportunities website, with five offers received. The Puget Sound Naval Shipyard & Intermediate Maintenance Facility, Bremerton, Washington, is the contracting activity.